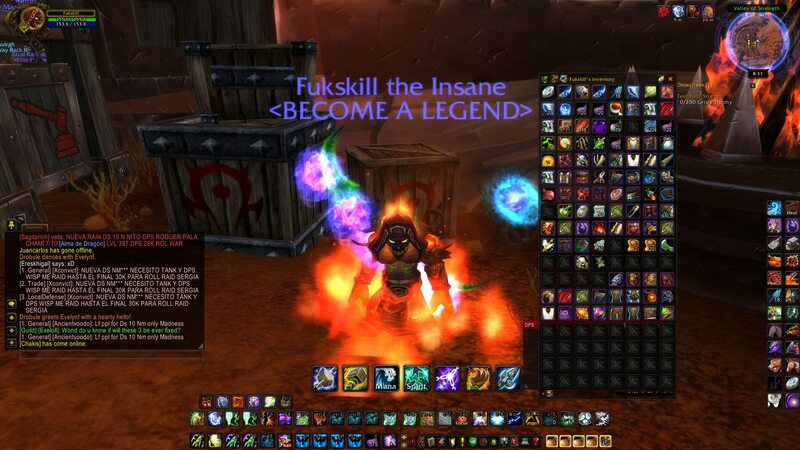 i didn't see any mob in black wing lair .Elementium ingot can only get by Honor Vemdor? There is no special mob,Elementium Ingot drops there by default. Thanks to wondi for your work, and for make something different on server! i got today my 4/4 bag! Thanks god,good job for making this. What's that addon which darkens / styles your UI? Any question, Where can find that item on the game? Christmas Event [4.3.4] End: 2018/01/06 at 5 +- PM - 3 days left. you can still buy Holiday spices on the Auction House. why removed the event missing a day? Can u put the npc "Santa Claus"? the event ends tomorrow at 8 am, last hours. The Event is over! Let's summarize! Total characters who started the quest line: 3230 ! A players who gave up: 2533 !? Total Bags received: 697 !